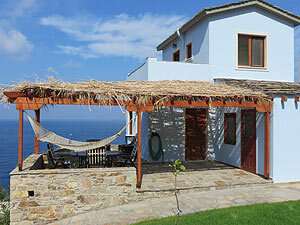 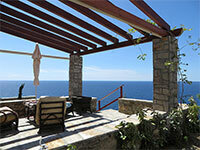 Located on the southwest side of Ikaria in the remote village of Trapalou near Karkinagri. 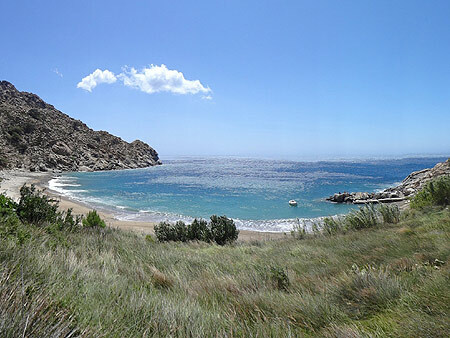 A beautiful peaceful beach seldom visited by tourists. 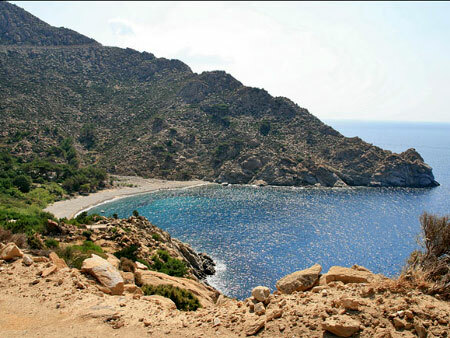 Access to Trapalou is via Karkinagri and a 4-wheel drive vehicle is strongly recommended. 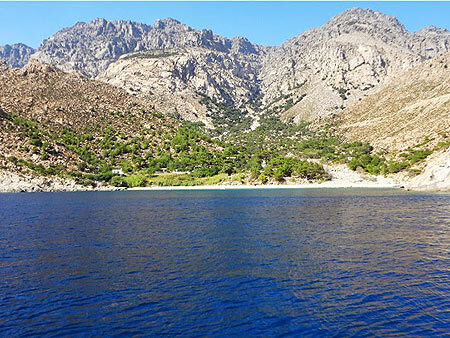 The village features an informal taverna overlooking the beach run by Mrs. Popi (Kyria Popi) where one can delight in true home cooked Ikarian food in an authentic village setting. 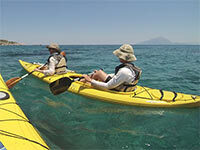 During the summer there are occasional boat excursions to Trapalou from Agios Kirikos, Mangannitis and Karkinagri. 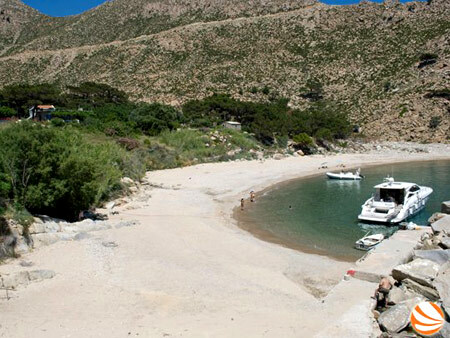 There is also a small boat dock on the south side of the beach.